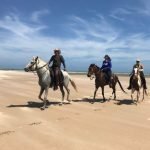 Included – All riding, full board from breakfast on day 2 till lunch on day 9, all tours are personally escorted by “Gaúcho do Brasil” trip leader Paul. (In exceptional cases by a substitute) Paul speaks fluent English, French, Dutch, Spanish, Portuguese and speaks basic German. 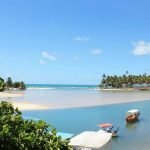 Furthermore, you will be accompanied by a local Northeastern team, Backup Vehicle brings your personal luggage to the daily overnight place/pousada & transfer on day 9 back to Maceio and Airport. 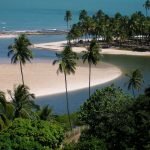 Excluded – Flights, drinks (not expensive), dinner on day 8, transfer on day 1 fom the airport of Maceió to the hotel in Maceio, personal expenses & tips. 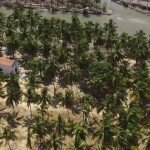 International flight to Maceió (MCZ) Airport. 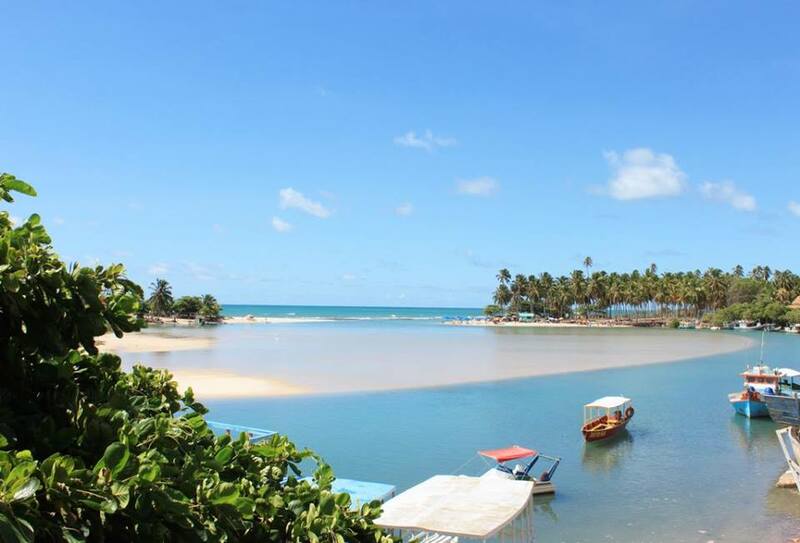 On arrival at Maceió (MCZ) Airport, you take a taxi to the hotel 20km, or a bus which takes you within 2km of the hotel. 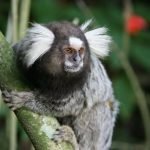 Brazil is all about tropical heat and amazing nature. 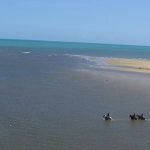 But when we’re talking about beautiful beaches, the northeast part of Brazil comes into it’s own and this is where where Paul, your riding guide, is taking you to; the Northeastern State of Alagoas, where you will canter the endless beaches still untouched by tourists. 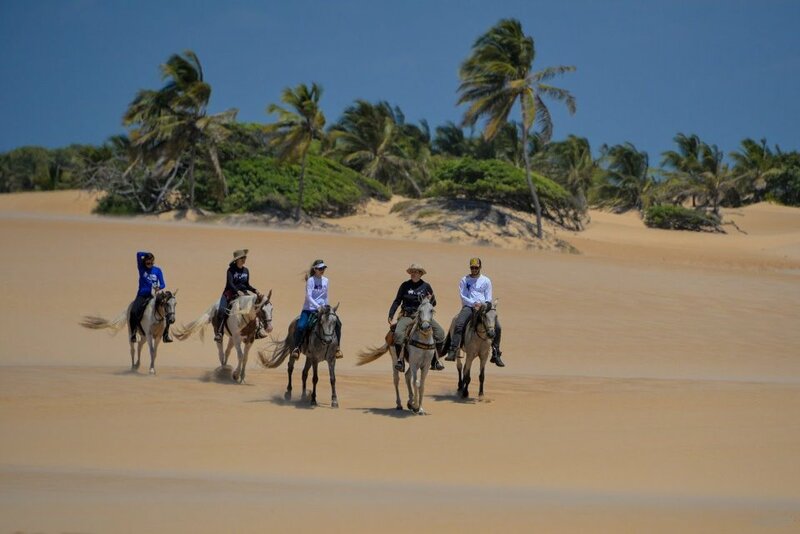 From day one, you will understand why the ride is called ‘The Coconut Trail Ride’. 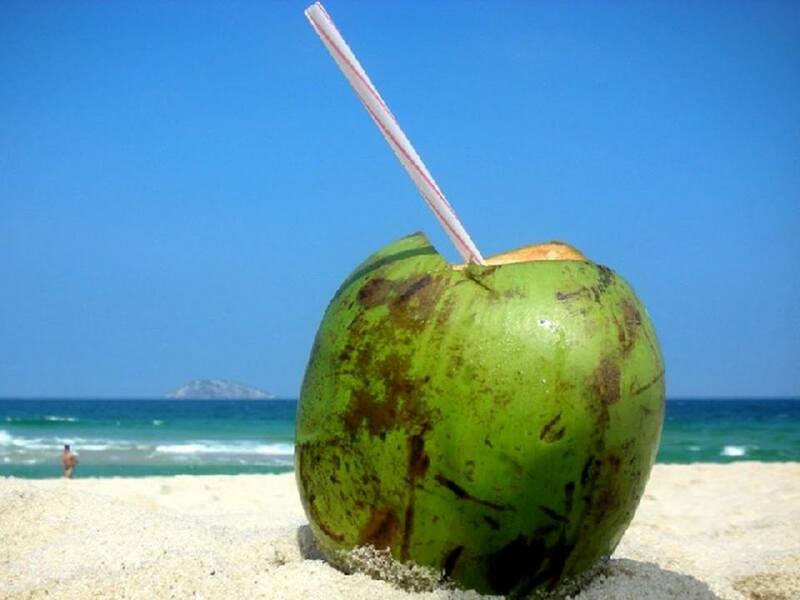 Alagoas is in the greatest producer of coconuts in the country and from your own saddle, you will drink fresh coconut water and discover some of the most beautiful tropical places in the world. 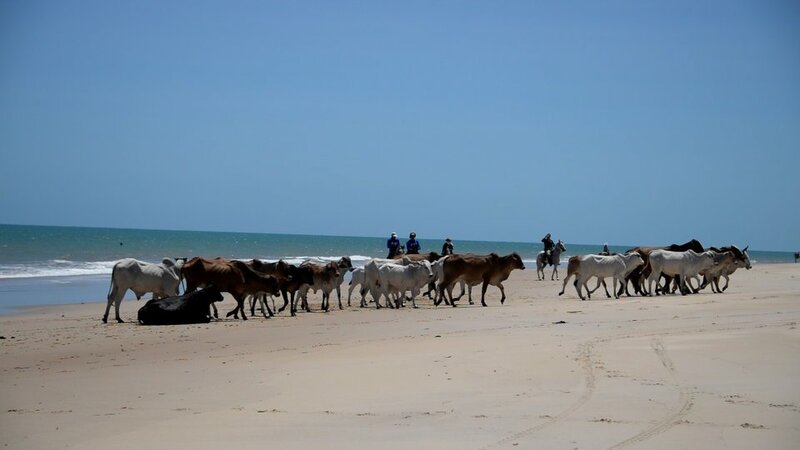 During the 9 day trip of which 7 are on horseback, the itinerary leads you t0 the coloured sea cliffs, the crossing of rivers, climb huge sand dunes, pass mangrove swamps, ride through the Atlantic rain forest and along miles of pristine deserted beaches, lined with coconut trees. 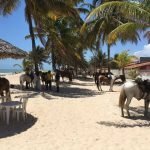 On average you will be riding about 4 hours a day – morning rides – and arrive each day around noon at the next beachfront Pousada or beach house where you will be welcomed with the national drink; the Caipirinha. The crossbreed Mangalarga Marchador horses (authentic Brazilian breed) are great forward going horses with a very comfortable pace. 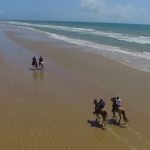 They are used to the tropical climate, the beach and the water and are just the most fun horses you can imagine. 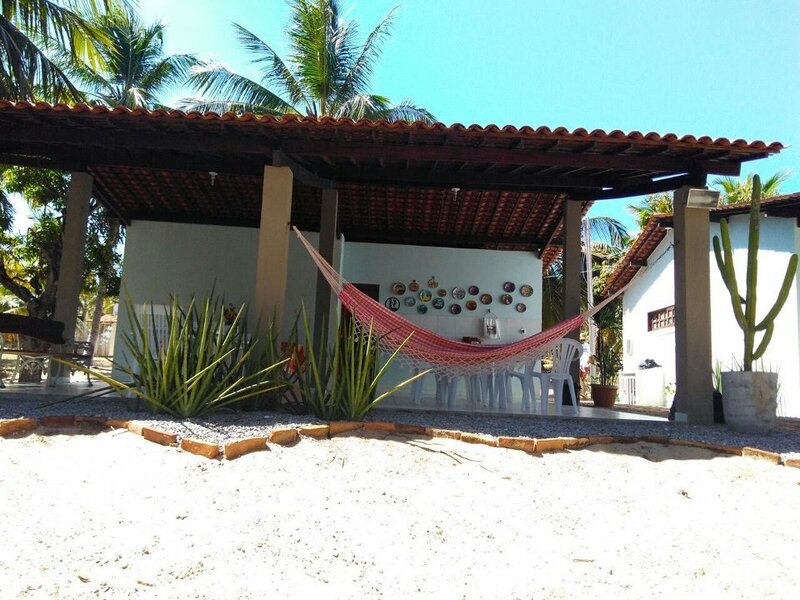 Your personal luggage will be taken by a back-up vehicle from pousada to pousada (Brazilian style comfortable accommodation). The afternoons are filled with fun in the sun. 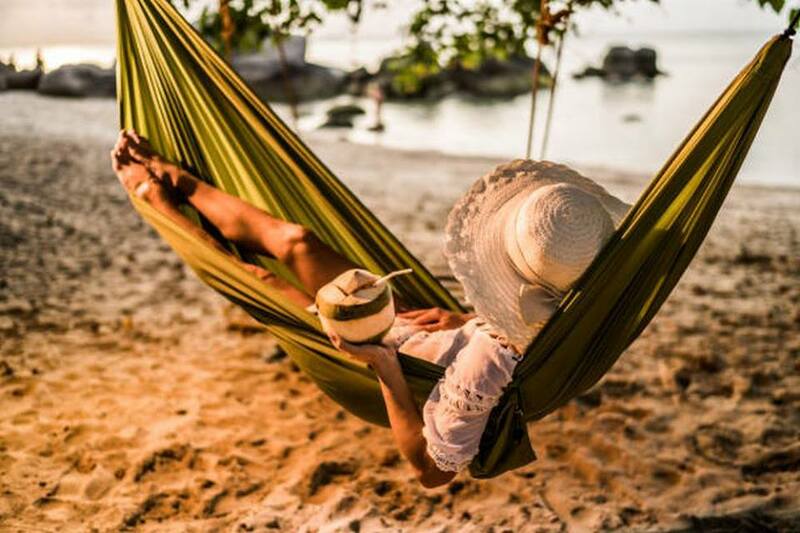 A swim in the warm body temperature waters of the Atlantic Ocean, an ice-cold beer at a barraca, (Brazilian beach bar), a stroll in a fishing village or simply relaxing and reading a book at the swimming pool of your pousada. After a dinner of delicious food (seafood is the region’s specialty) follows a good nights rest, ready for the next adventurous morning in the saddle. 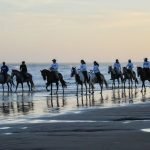 Fresh tropical fruits will be served for breakfast while the horses are saddled and ready to kick off for another stunning day of riding along a part of the 8,000km coastline of Brazil. 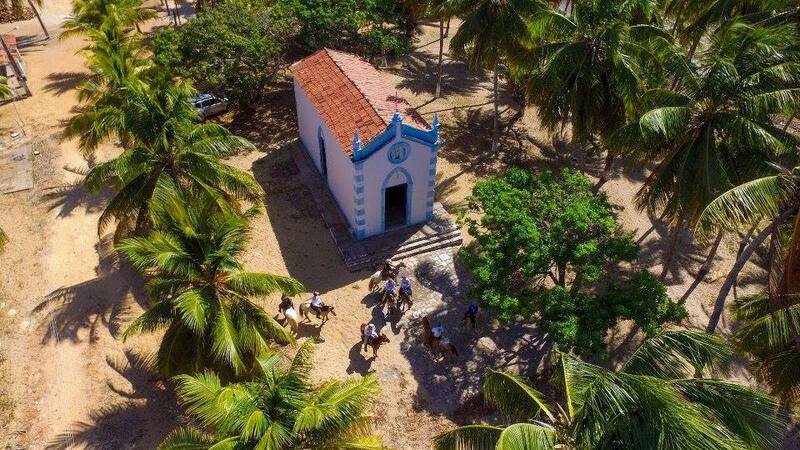 The trail ride ends in Penedo, a colonial village at the mouth of the São Francisco river (one of the biggest rivers of Brazil). 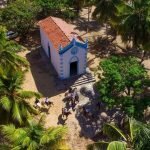 The baroque-style churches, convents, and houses remind us of the Portuguese and Dutch colonization. The perfect setting for a last night in Alagoas. Welcome to the liveliest, most colourful, coconut state of the country! 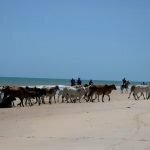 Horses – The Mangalarga Marchador is a horse breed native to Brazil. 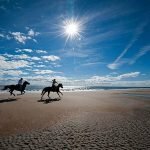 It’s an Iberian breed descended from Portuguese Lusitano stallions and Barb mares, they are valued for their beauty, intelligence, disposition and smooth gaits. Mangalarga Marchadors have four gaits: walk, canter and two natural, ambling gaits—the diagonal batida and the lateral picada. They are noted for their endurance and versatility. They stand on average 15 hands high. 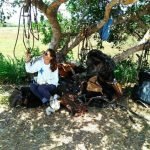 Tack – Western style tack and riding. The saddles are Brazilian/Australian style, comfortable to longs hours of riding. Weight Restriction – 100kg / 218lbs / 15 stone 8lbs. All the pousadas have been carefully chosen for their individuality and charm. They are all independently owned and have incredibly friendly owners that are excited to see you and show you round. One pousada might be a bit more simple than the other, they are are authentic, cosy and very clean. The pousadas do not all have a standard type of room. Most rooms are double rooms, some also have 4 bedded rooms with a connecting bathroom. 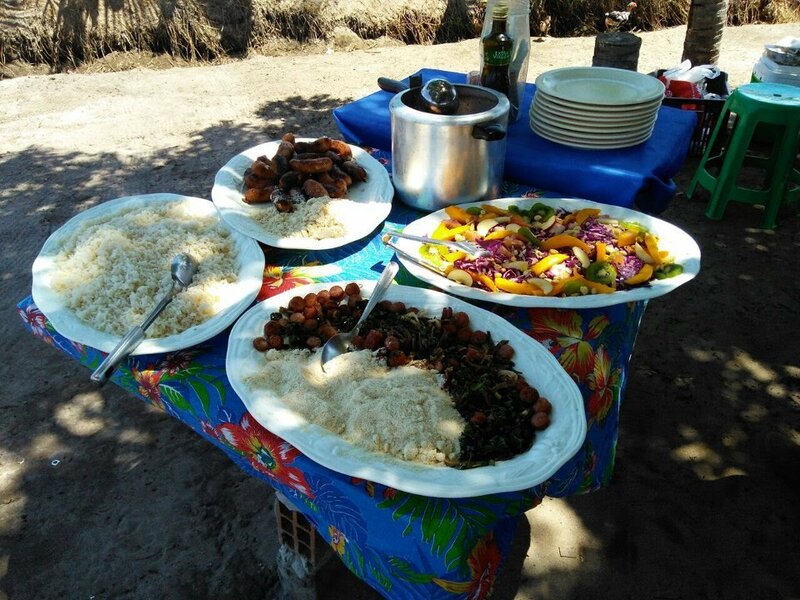 The main dishes are mostly rice and beans (Feijão) and sauces, with lots of meat or fish and salads. 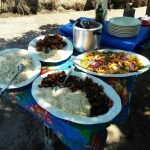 From region to region one has its own traditional dishes. 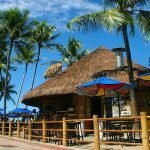 Along the coast you will find more fish and shrimp dishes, in the south the tasty meat grill’s (Churrasco) will surprise you. Late afternoon Meet & Greet at the hotel in Maceió to brief the riding group about the coming days. Dinner and overnight at a comfortable hotel in Maceió. 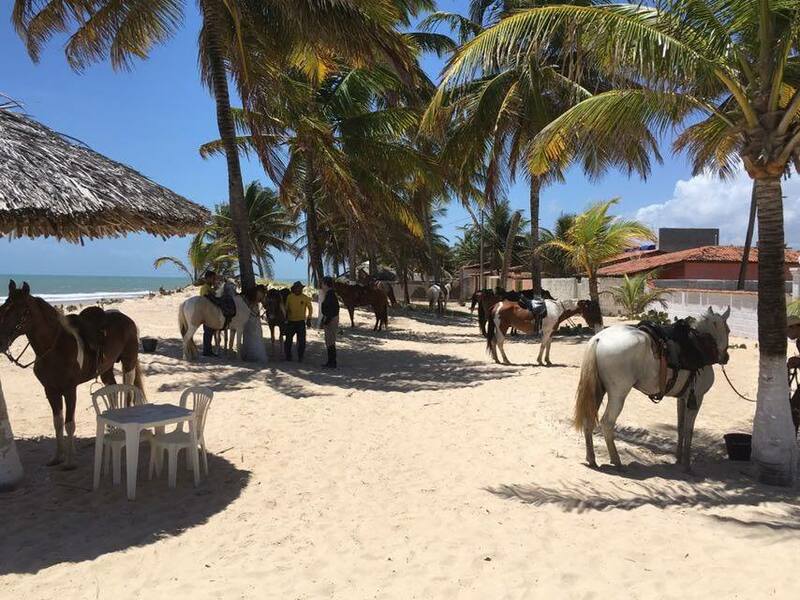 After a delicious breakfast, we leave early to meet the horses at the paradisiacal beach of Jequiá. We will choose horses, make adjustments to the stirrups and take off for the ride. 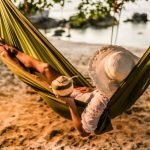 We start out on one of the deserted beaches, dotted with cliffs of multicoloured sands and coconut trees. Our destination today is breathtaking! The Marapé Dunes lye between the river and the sea. 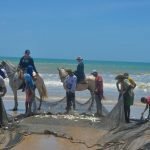 In the middle of preserved mangroves we will leave the horses and head off on a boat trip along the mangroves, we take a refreshing dip in the river and the sea. The sunset here is stunning! 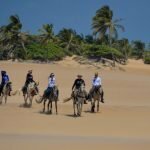 Overnight at Pousada – Dunes de Marapé. We will wake up and have an incredible view out to the natural beauty of this place. 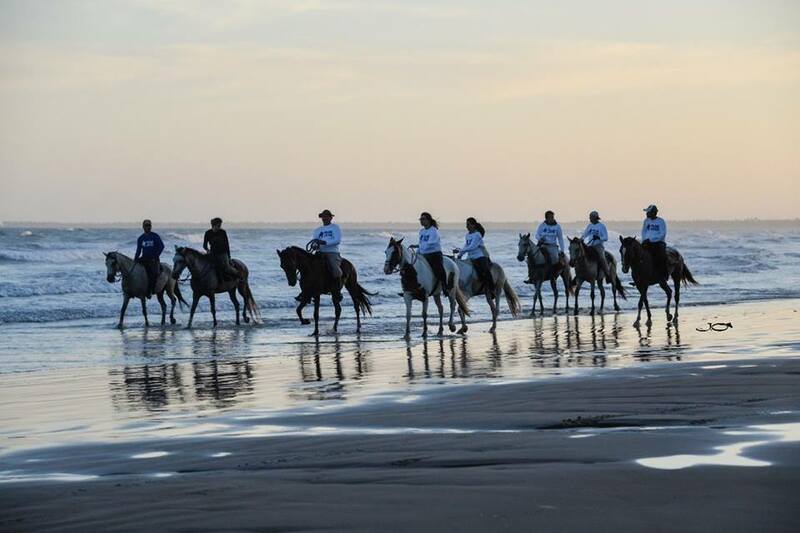 Our horses are saddled and ready to take us out on another day full of beautiful scenery and pristine nature. 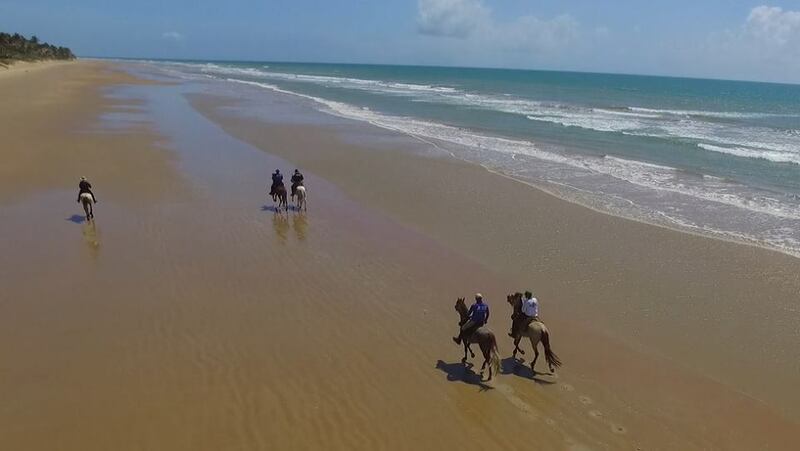 We will ride along deserted beaches, lined with coconut trees and appreciate the lush vegetation of the Atlantic forest. Barrier reefs are visible from the saddle. Our destination is the Pontal do Coruripe beach with its omnipresent lighthouse. The warm sea water is just perfect for a swim. 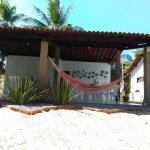 Late lunch and overnight stay at Pousada – Pontal do Coruripe. (Coffee, lunch, snack and dinner). tropical fruits. 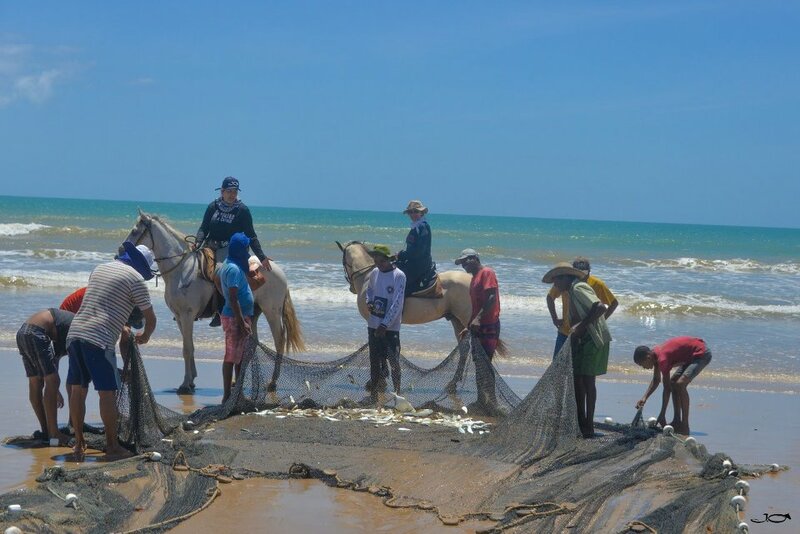 We continue along deserted beaches – here and there we will ride past local fishermen hard at work. Just before we reach our overnight spot, we reach the Swiss Cargo schipwreck “The Stockholm” on the beach. Our exclusive Beach House awaits us in Feliz Deserto. Overnight a the Beach House. 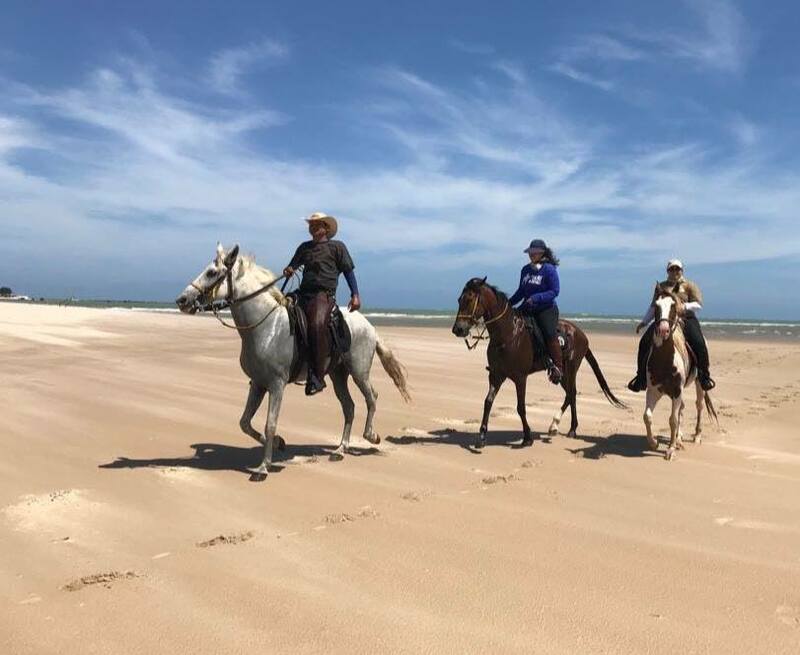 Right after breakfast, we mount the horses and ride inland, away from the beach, towards the Marituba wetlands, a protected area with a unique ecosystem. We will have time to wade or swim in the clear waters. We will have lunch and have a little siesta before heading back to our lodgings. 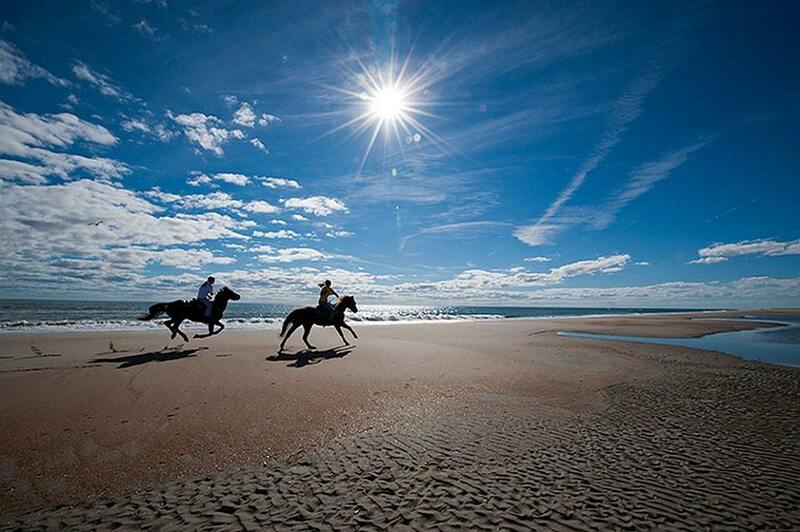 This time we go along the beach and end the today’s ride with a gallop. Overnight stay at the Beach house. (Breakfast, snacks, lunch and dinner). 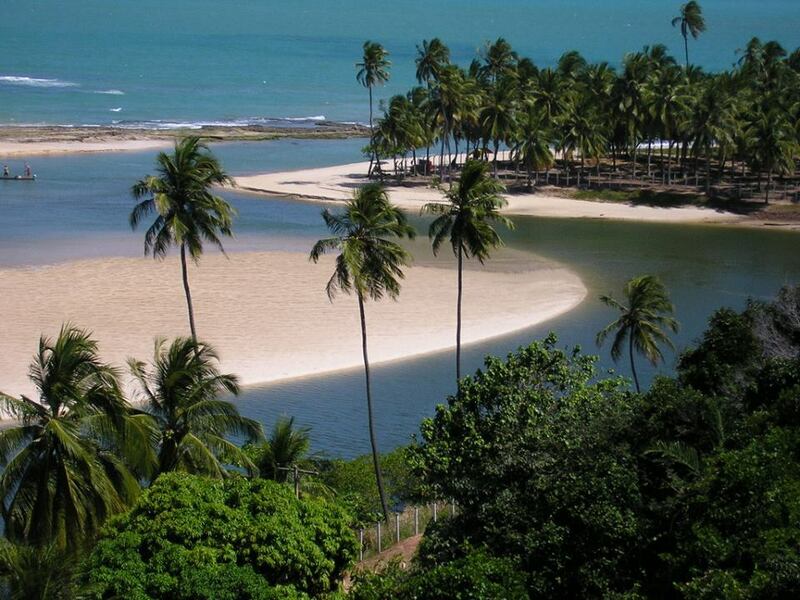 Today we will have time to enjoy the best of the region, deserted beaches, coconut trees, small fishing village. 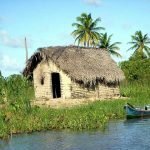 Also, we will have time to bathe in the sea and enjoy the local cuisine with excellent fresh seafood arriving all the time in small boats that dot the coast. Our pousada right there on the beach is in the perfect setting. Overnight a the beachfront Pousada. 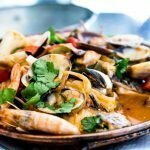 The Fishing Village of Pontal do Peba with its bars and restaurants specialising in seafood is the starting point of today’s ride. 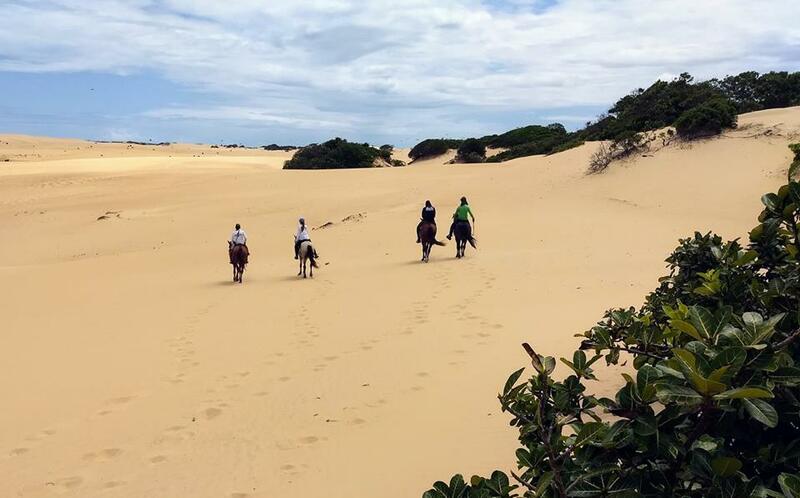 From the saddle we explore an area of dunes and environmental preservation. 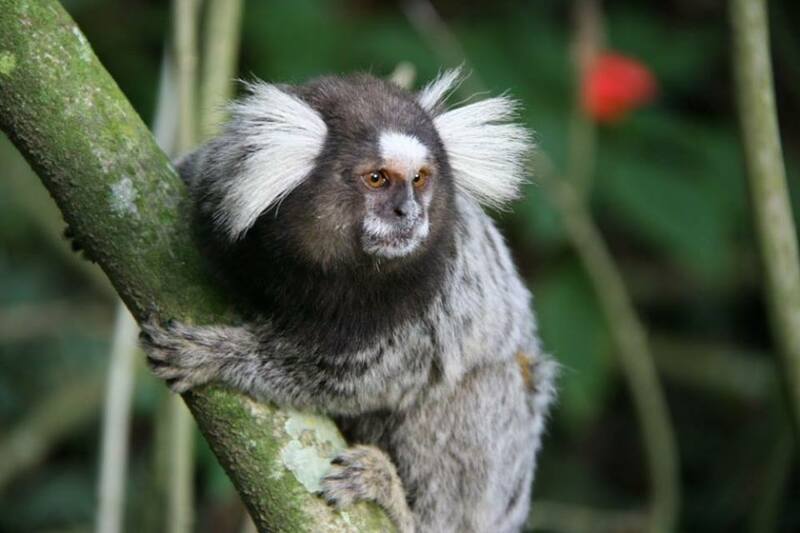 Between coconut groves and dunes some tropical birds, reptiles and mammals can be spotted. We will end the ride today at a traditional coconut farm of the region. 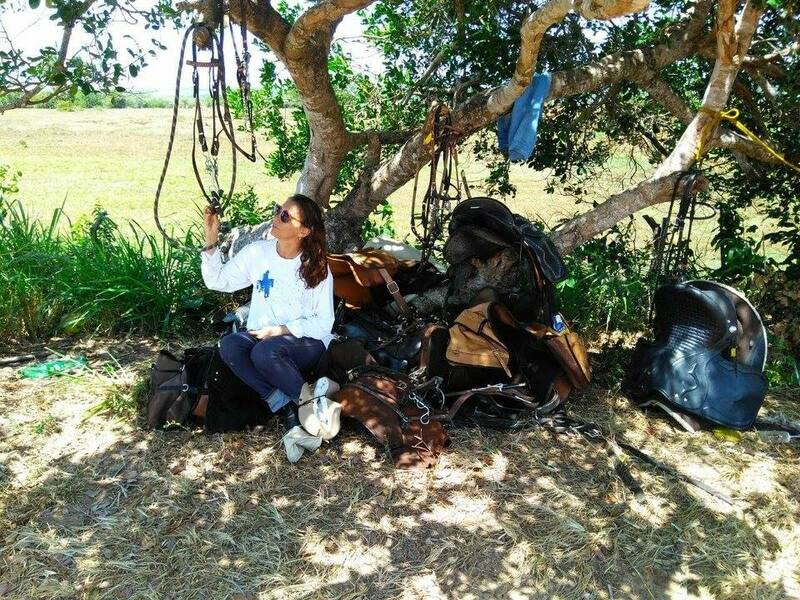 After a good breakfast we mount our horses to start our last riding day. 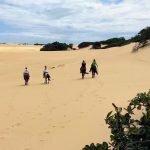 We ride through a coconut forest until we find an array of the huge dunes, we cross the dunes and before reaching the mouth of the São Francisco River, we will ride along to the quilombola community of Pixaim. 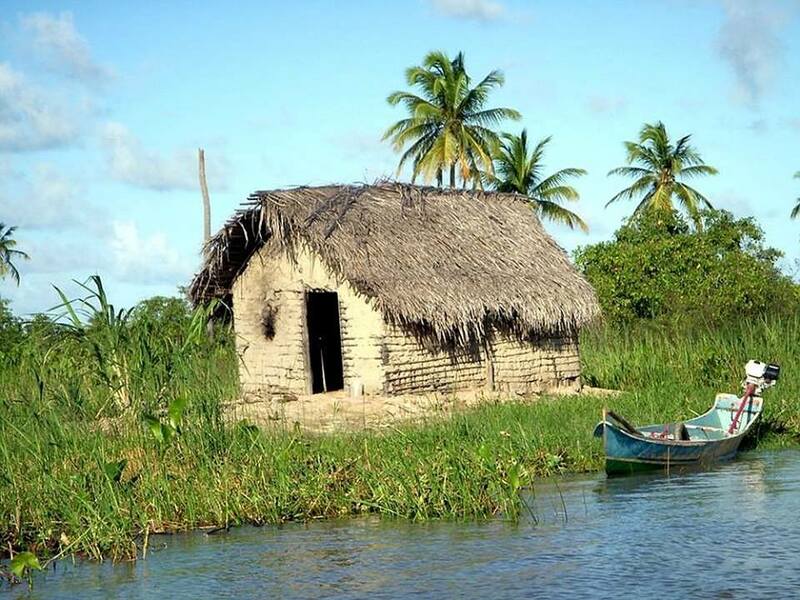 (a quilombo is a community descended from escaped slaves) In Foz, we will enjoy a river swim to refresh ourselves. 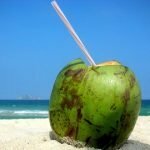 We will drink from a fresh coconut and eat some snacks. We will leave the horses behind, and hop on a boat to sail the mighty river until arriving at the banks of the river where we will have lunch. 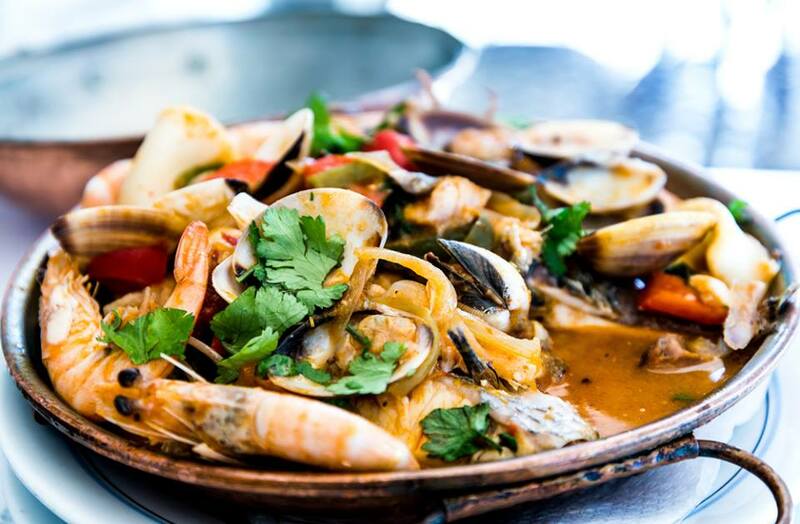 Typical sea food of the region will be served in the shade. We will arrive at the end of the afternoon at the colonial town of Penedo. 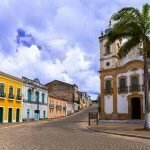 Day 9– Penedo – Maceió. No hurry to get out of bed today. 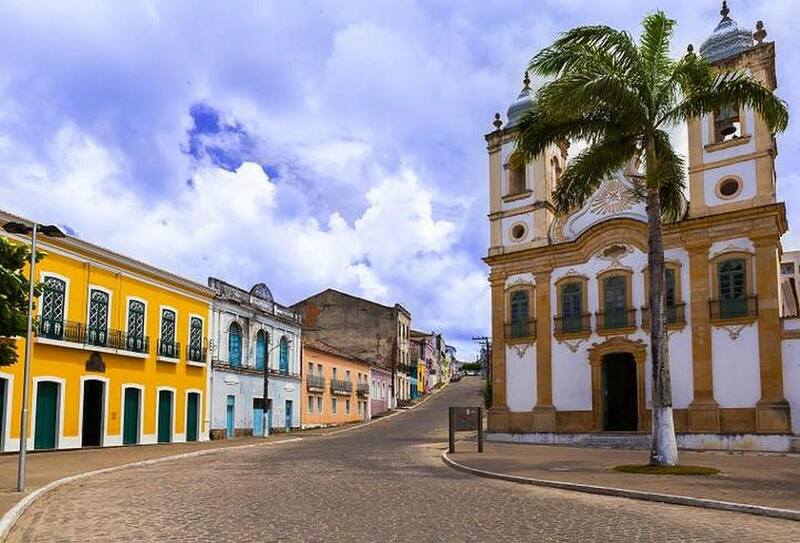 After a nice breakfast we will walk around town and see the beautiful baroque-style churches, old houses, theater, and convent and all other Penedo’s architectural jewels. We will have lunch at a traditional restaurant overlooking the river. 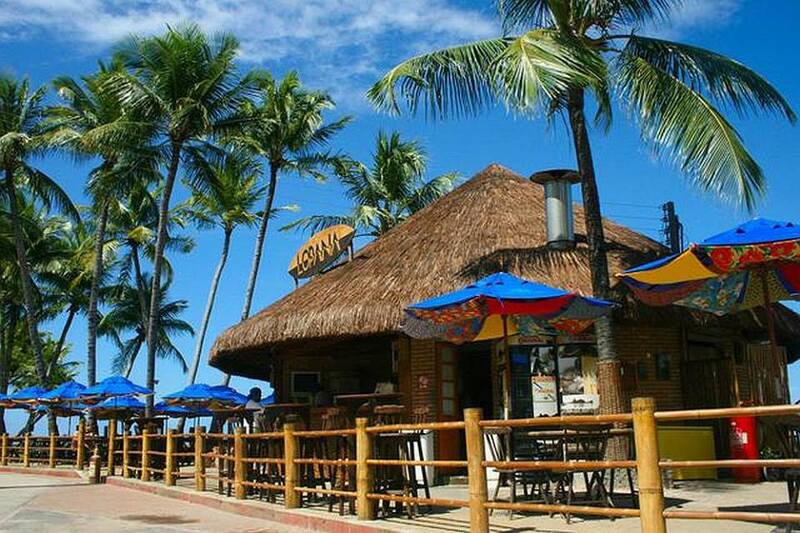 After lunch we depart to Maceió. End of the itinerary. Trail Itinerary: We will do everything possible to follow the indicated itinerary, although spot changes can occur due to unforeseen circumstances. 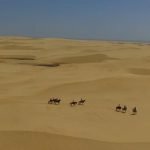 Rides are subject to change depending on weather, location and difficulty of terrain In the unlikely event that this happens on your trip, we ask you flexibility and understanding.